The ultimate business hotel should offer a central location, in a stylish yet functional environment with an emphasis on accessibility, service and conference facilities. 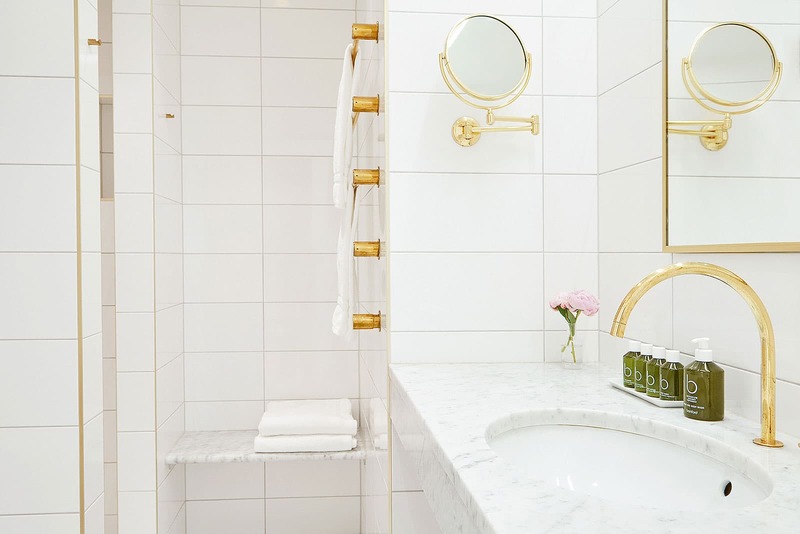 Stockholm has a lot to offer in terms of business hotels. Therefore we have taken it upon ourselves to create this guide featuring hotels that meet these criteria, but also provide additional amenities to enhance your stay. 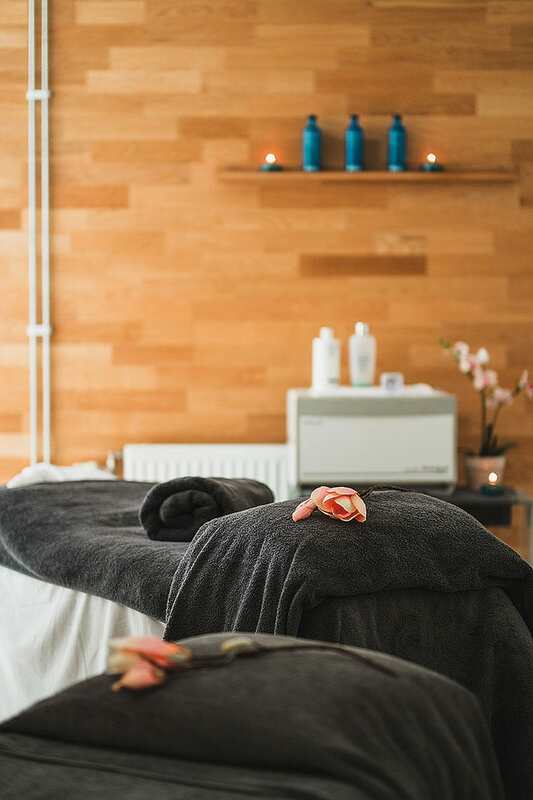 Explore the seemingly endless array of restaurants that populate the city, take a break at a relaxing spa or for those who are inclined, work up a sweat in one of the state-of-the-art fitness facilities on offering. Choose this contemporary 5-star boutique hotel for its restrained, yet luxurious feel. 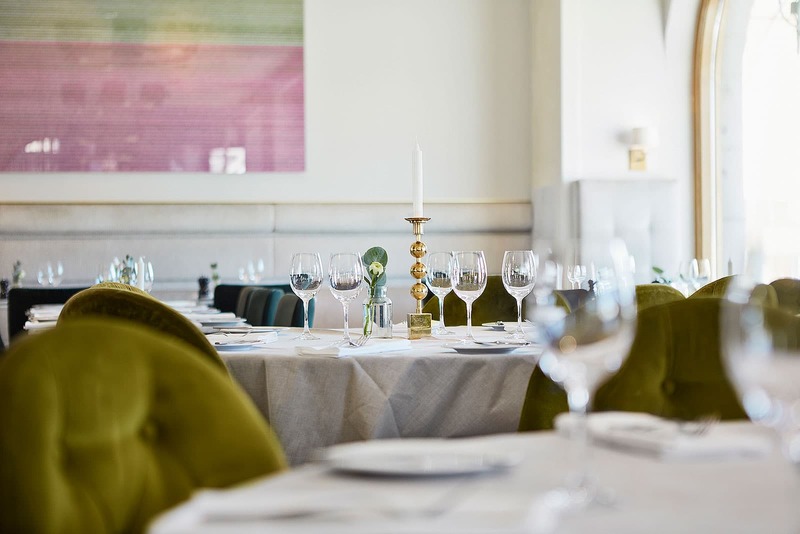 With 24/7 services and lively atmosphere featuring restaurants and a glamorous bar, Nobis Hotel offers everything a business guest could wish for. Nobis Private Rooms provide accessible and flexible opportunities to organise conferences and events in the elegant oak panelled meeting rooms. Few hotels in Stockholm offer such a scope as Clarion Hotel Sign. Whether for business or pleasure, today's globetrotter has higher expectations than ever - and this hotel goes out of its way to fulfil such demands. Take a break from the buzzing city and unwind at Selma Spa or take a plunge in the all-year-round heated rooftop pool. The ultra-modern conference rooms offer guests panoramic city views. Story Hotel ensures one of the city's most unique hotel experiences. The interior alludes to the Big Apple with functional solutions and cool, industrial feel - complete with graffiti-covered rooftop bar and lounge. The large bars and open lounge areas with comfortable sofas are ideal for relaxed hangouts, but guests are also welcome to book meeting rooms for a more private rendezvous. 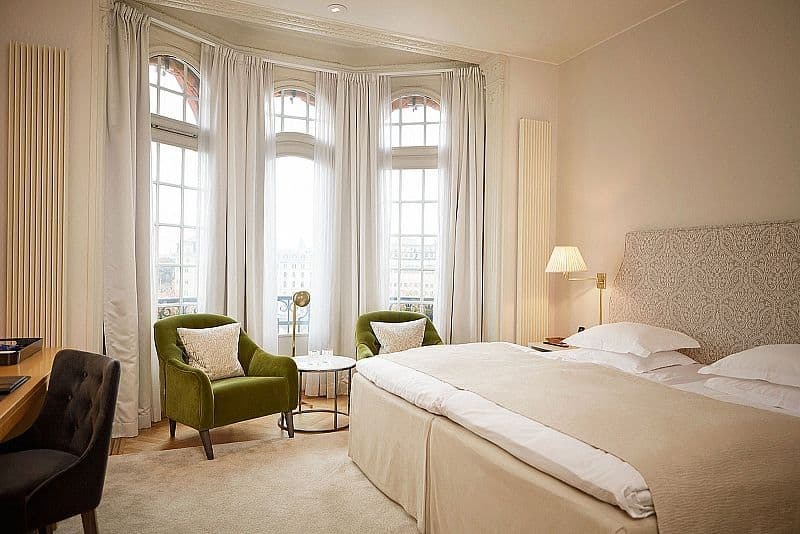 Hotel Diplomat is located in the heart of Stockholm with Nybrokajen and scenic Djurgården on the doorstep. The hotel's carefully curated art collection adds an extra dimension to the elegant Art Nouveau interior. Multiple conference facilities are at guests' disposal offering tailormade solutions according to their requirements. Its central location on one the city's more anonymous, yet prominent waterfronts ensures the hotel's firm position as favourite among business travellers. The rooms featuring the company's world-renowned Sheraton Sweet Sleeper beds are some of the largest in Stockholm and are at a high standard. The conference floor has a capacity for over 600 people, exemplifying the chain's dedication to meet their guests' numerous requests and demands. 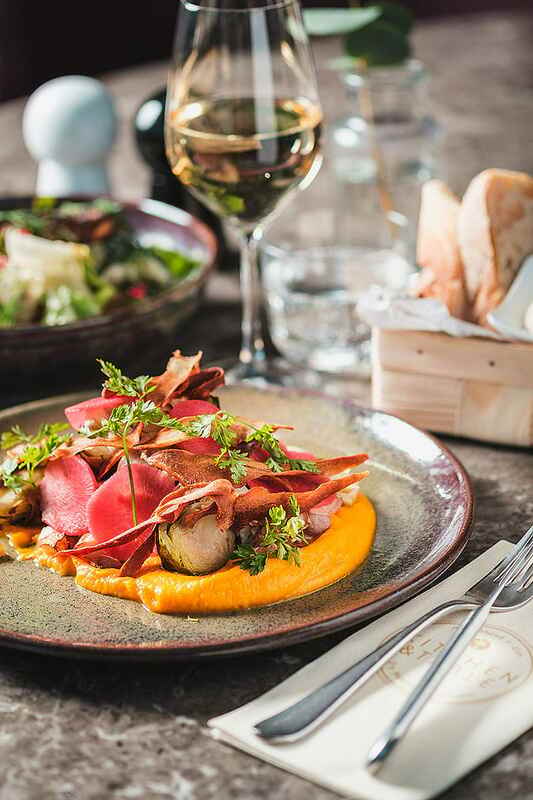 Mornington Hotel, located close to the bustling Östermalmstorgs Market Hall, is a popular hotel and an excellent, mid-tier option for leisure and business travellers alike. Guests are granted access to both the fitness and spa facilities. Bookable meeting rooms are available at guests' disposal for those who do not wish to settle down in the cozy, library-style lounge. 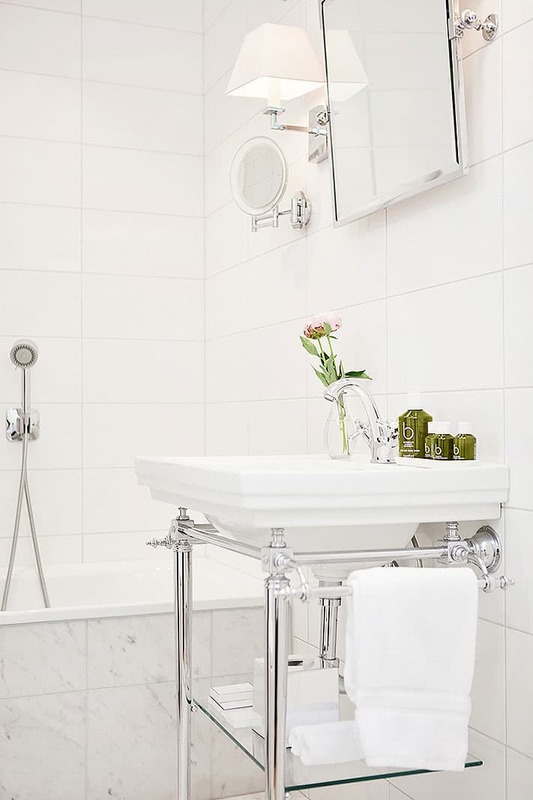 Resting upon the shorefront with picturesque views over Nybrokajen, Strand Hotel fuses classic design with modern sensibility. Its timeless aesthetic, combined functional solutions meets the needs of urbane traveller. Recline in the comfortable lounge or schedule a private conference room for a more personal encounter. Hotel C lies across the street from its monochromatic big sister: Nordic Light Hotel. The city's influence on the decor is apparent - graphic photomurals depicting Stockholm's streets adorn the walls. If you fancy a trip to the North Icebar By Icehotel - Stockholm's equivalent to The Icehotel in Jukkasjarvi will do the trick. Courtyard by Marriott offers some of the largest rooms in the city. Located next to Rålambshovsparken offering scenic views over Lake Mälaren. 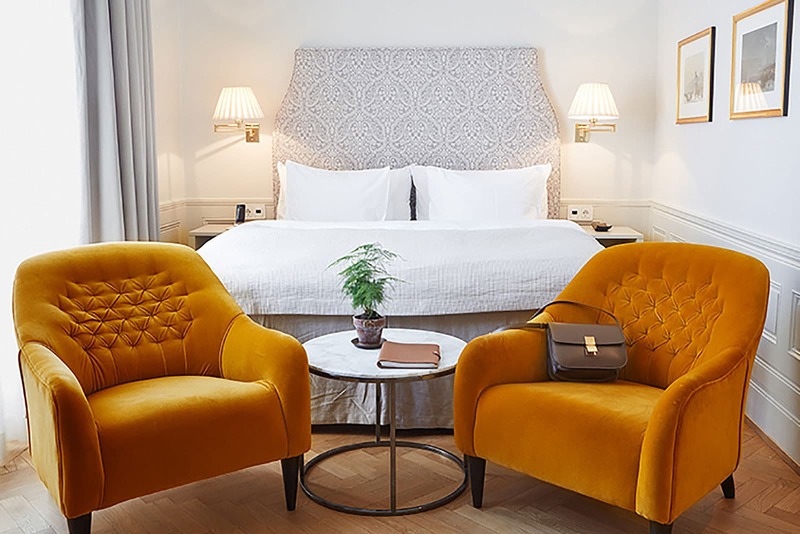 With emphasis on style and functionality without compromising comfort, sustainability or space for price this hotel provides its guests with tailor-made solutions. Book one of the 12 meeting rooms or the large conference space for your next stay. 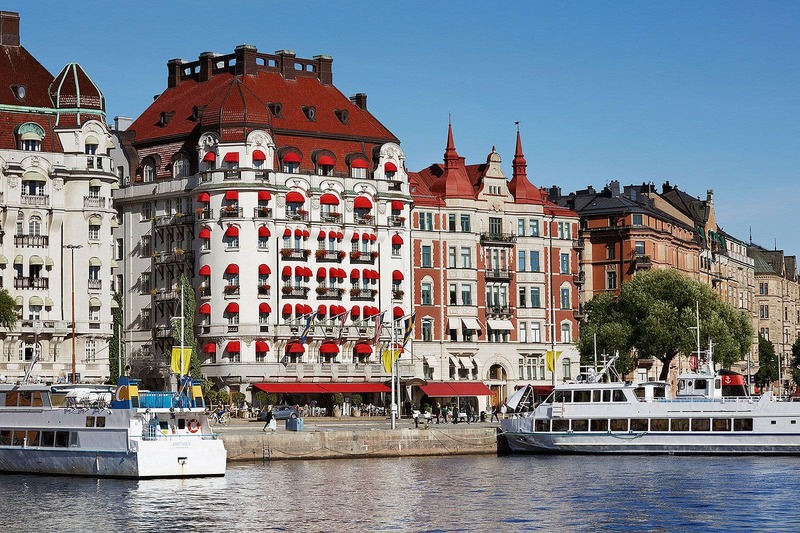 This middle-tier hotel situated between Gamla Stan and hip Södermalm offers panoramic views over Stockholm's inlet. Hilton's heavily influenced Scandinavian decor ensures flawless service and comfort. 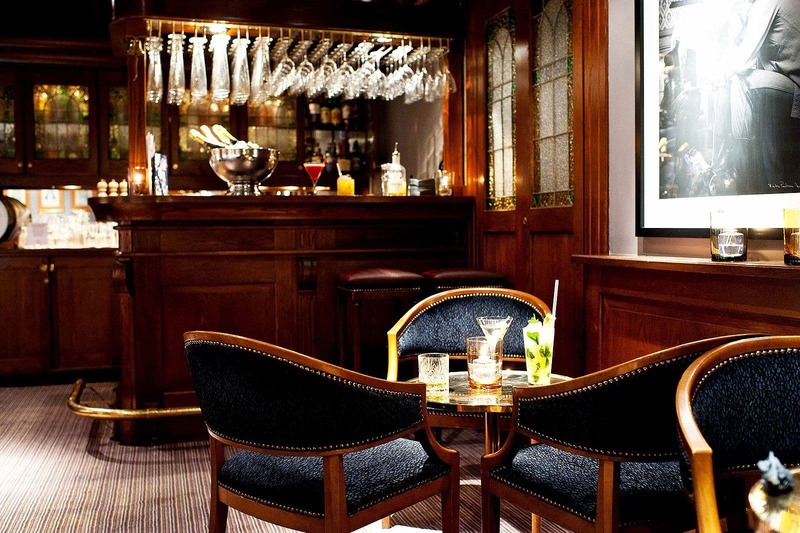 Eken Bar is ideal for after-work hangouts and enhances the relaxed and unpretentious atmosphere. 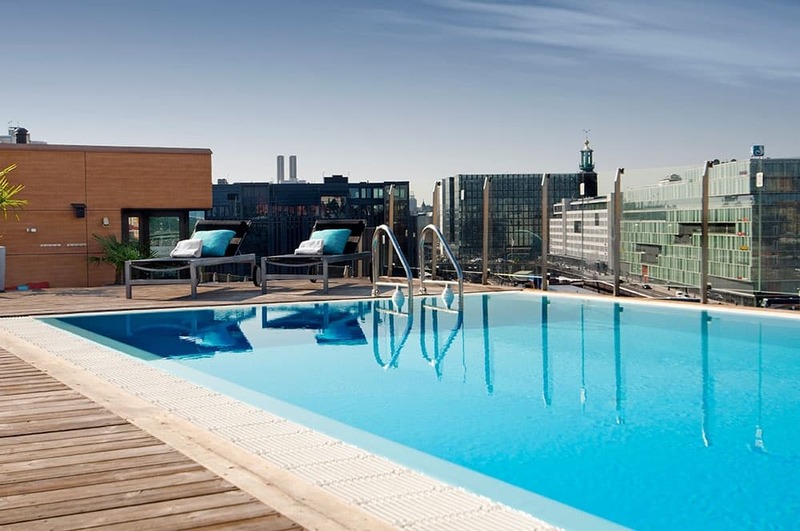 Our guide to business hotels in Stockholm is updated continuously. Feel free to email us at hello@thatsup.se if you feel that we should add a business hotel in Stockholm to our guide. Please let us know if you see any mistakes in our guide to the best business hotels in Stockholm.